Pricing your time and expertise is a challenge. So many of us in consulting and services businesses are, in the end, selling our time. It doesn’t matter whether you charge per hour, per day, or per project. It’s all about time. Even a per project price is based on a time calculation. You estimate how long the project will take as part of setting your price. I’ve dealt recently with a few people who are drastically underpricing their services. Your hourly rate has a huge impact on how much money you make overall. How do you set it right? The cost of your time. It’s easy to understand the cost of someone else’s time – it’s how much you have to pay them. But what’s the cost to you of your time? The price of your time. This is how much you charge someone else for your time. It should be more than the cost to you. The value of your time. Value is about how much something is worth to you or your client. Note that value to your client has to be at least equal to and usually more than the price you charge. Or they won’t be customers for long. So when you’re working out what to bill for your time, you need to look at all three of these. Let’s start with the cost of your time. How do you calculate this? There are two simple things to consider. What’s your target income this year? Or this month, or this week. To get that target income, how many hours do you want to work in this year? Or this month, or this week. The simple way to start is to divide the amount you want to make by the hours you want to work. That gives you an hourly rate. But it assumes that all your revenue will translate into real income in your pocket. Unfortunately, that’s not true. You’re running your own business. There are costs you need to consider – things which employees get as part of their package. Insurance, including workers compensation, public liability and professional indemnity. Holiday pay. If you started from how much you want to make per month, you need to cover the months you won’t be working. What about public holidays? Are you taking those off? They can cut into the hours you have available to work. Adjust your target revenue. Add all the costs you’ll need to cover. Adjust your target hours. Subtract all the hours you won’t be working on holidays. What are your fixed overhead costs? Adjust your target revenue again, to cover these fixed costs. Your revenue requirement may now be quite a bit higher than you first thought. When you’re working out the cost of your time, always estimate on the high side. Otherwise, when you get to pricing your time, you risk setting it too low. So what’s the difference between cost and price? Many people take the cost and think, ‘Well, that’s what I should bill per hour.’ But there’s a problem with that. Many of the hours you work in order to achieve your income cannot be billed. Cost is based on hours you plan to work. Price is based on hours you plan to bill. I was talking about this recently with a client. He decided to start tracking the time he spent on each job. It was like a light bulb going on. He’d been charging for the time it took to do the work, but he hadn’t been charging for the time it took to get the work. When I first started consulting, a friend told me, ‘Never expect to bill more than three days a week.’ I was shocked. But my friend was damn right and I owe him a big thanks. If you only bill three days (or two days, or one day) a week, what are you doing with the rest of your time? All those hour are spent on things you can’t bill for explicity. You need to track them and adjust your hours based on the result. 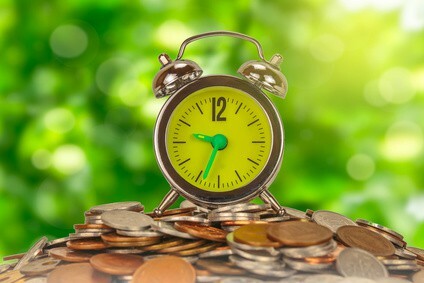 Divide your target income by billable hours, not hours worked! So now, you’re ready to set a target hourly rate based on desired income and expected billable hours. But is it competitive? Time for a sanity check. If you’re significantly more expensive than your competition, decide what you’re going to do about it. Take out cost so you can lower your price. Make your business more efficient. Do better marketing. Close a higher percentage of sales leads. Improve processes and reduce admin. Or outsource some tasks. Paying someone else gives you more time for billable work. Just make sure you charge more than you pay your supplier! Paying someone else is also a great way to get back to doing more of what you love, rather than spending time on what you have to do. Give better value than your competition. Demonstrably better value. How do you demonstrate better value? There are some ideas in this post on service marketing strategies. Value, like beauty, is in the eye of the beholder. It’s about what your client thinks you’re worth. What are your clients paying for? Clients are paying not only for the time you spend on them (billed or unbilled), but also for the time you spent learning how to help them. Doctors, architects, programmers – they all invest time learning specialist skills. So do you. Clients pay for that expertise – because you can do something they can’t. You know the old story about the engineer and the hammer. I grew up in a family with no spare cash. We renovated ourselves, including repainting walls. It took a week or more to repaint a room. A year or so ago, we got professional painters in. They painted four rooms – ceilings, walls, woodwork, two or more coats everywhere – in four days. We could have done it ourselves. They had the expertise to do the job far more quickly. Using professionals saved us time – but it saved us much more as well. It saved us weeks of stress and chaos. Furniture in the wrong place. Doors we couldn’t close till the paint dried. We minimised inconvenience – and that’s a huge value. That’s what we really paid for. Would you rewire a plug? Maybe. I grew up in the UK and they taught us all how to do it in school. Here in Australia, you’re meant to get a qualified electrician. Would you rewire your entire home? That’s a different question. I could probably do it – remember I grew up doing DIY. But would I feel safe about the electrics afterwards? No. That’s the value you get from a trusted expert. How do you set value? Setting value is a challenge. Remember, value is in the eye of the beholder, or in this case, the client. Every client is different. They set a different value on the service you deliver. Even worse, they don’t want to tell you the true value – because that might give you permission to charge more! It’s why you have to start by pricing your time properly. It gives you a base rate you can build on if you think the client sees more value in what you do. Sometimes, you can estimate value fairly well. Say you’re developing a program to automate invoicing, which takes a mid-level admin person 2 days a month at the moment. The direct value of that to your client is 24 days of the employee’s annual salary and oncosts. It’s easy to google a salary range and do some maths here. You can set a price based on value – and you can use the math to justify that price if the client objects. Sometimes, it’s harder to estimate and justify value. How much value will sales training add to my team? How many more sales will they get? What’s the difference between this wedding organiser and that one? Why do they charge ten times as much? You can set a standard price and demonstrate value with some of the service marketing strategies I’ve described in this post. Or you can try the bucket technique as described by Brian Kreuszberger. Because someone’s budget for a service is a pretty good guide to the value they place on it! Value, and pricing for value, is fascinating and complex. Especially for intangibles. Whatever you do, you won’t get it right all the time. But if you start by understanding the basics of cost, price and value, you’ll be way ahead. Also it’s a subject dear to my heart, so if you’d like a chat about the specifics of your business or industry, feel free to get in touch.